14k Solid Gold Baby Children Mirror Heart Kids Bracelet 5 1/2"
Free Shipping within USA via USPS First Class. 30 day money back guarantee. PICTURE ENLARGED TO SHOW DETAILS. SEE LISTING DETAILS FOR SIZE. 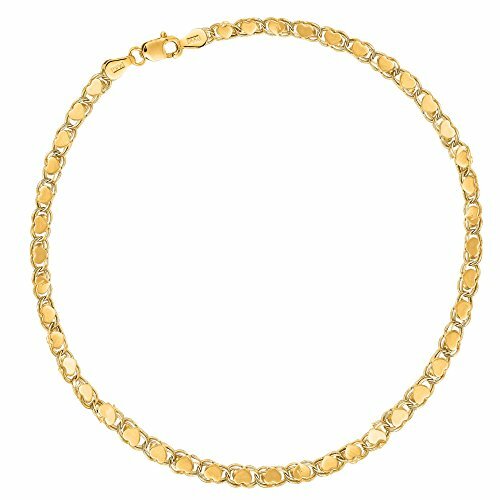 14k Yellow Gold 2.5mm Polished Figaro Link Chain Necklace 24"